The Port and Town of Goole have had a semi professional football team since the 1900's. 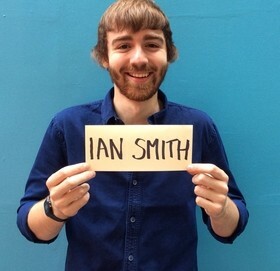 Ian Smith is a bright young talent who has been described as "fantastically funny" by The Times and a "star of the future" by Timeout. What more is there to say? Our Goole was designed as a one-stop-shop for everything Goole from breaking news and local events through to community issues and business news. Goole Mountaineering Club has now submitted over £2,000 to charities since the start of the club in 2005. Recent climbs include Helvellyn. The 2015 Goole Triathlon takes place on Sunday 26th July.This year's event involves a 500m swim, a 12.5km bike ride followed by a 5km run. There is also "The Chiller" on 1st Jan 2016. Spirit Of Goole Team isa Registered Charity (Registered with the Charities Commission no, 1159086) run purely on a voluntary basis, whose aims are to provide Engineering projects to young people in and around Goole.